DALLAS—Fox color commentator and former Dallas Cowboys quarterback Troy Aikman assured viewers Sunday that during playoff telecasts he would impartially document the return of America's team to their rightful place as NFL champions. 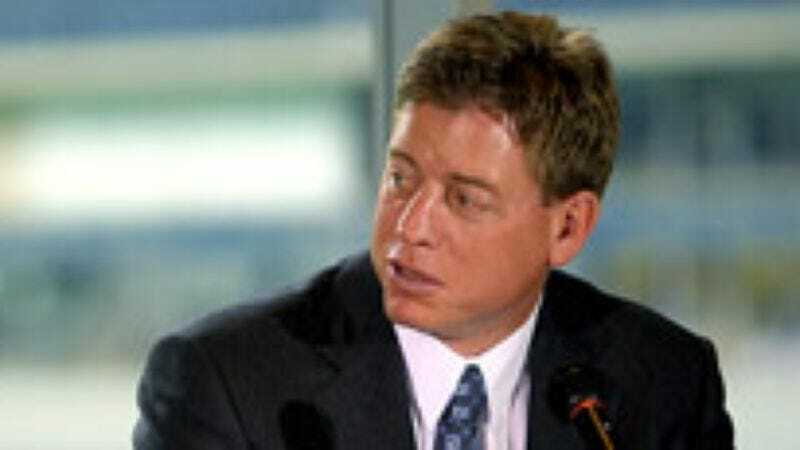 "In order to maintain my journalistic integrity, I must be free from bias when I present both sides of the Cowboys' play, remaining impartial as they dominate on both offense and defense," Aikman said, interrupting his heartfelt account of being drafted number one by the team. "Even though Dallas' opponent will not be worthy to share the same field with them, I will not show favoritism towards America's Team, my beloved 'Boys." Aikman added that he would not let his warm feelings for Cowboys owner Jerry Jones skew how he described the man's many wonderful qualities.